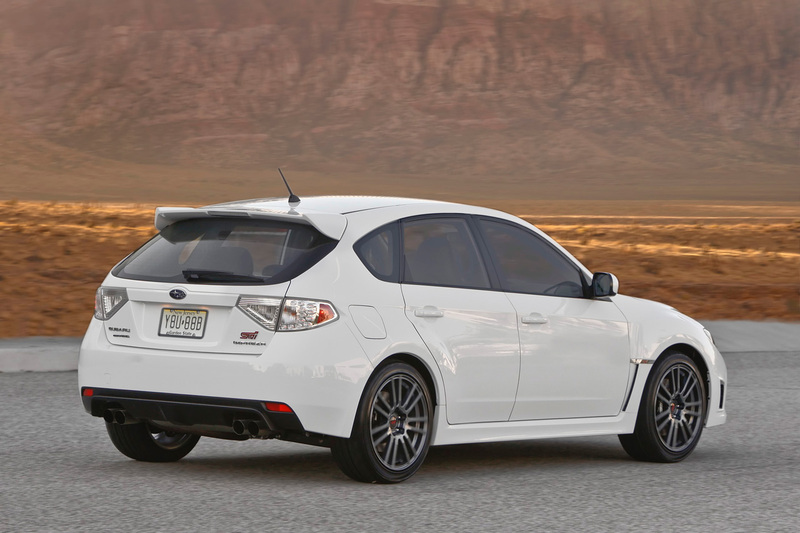 Subaru of America, Inc. today announced pricing on the 2010 Subaru Impreza WRX STI Special Edition model at $32,995 plus $695 D&D. 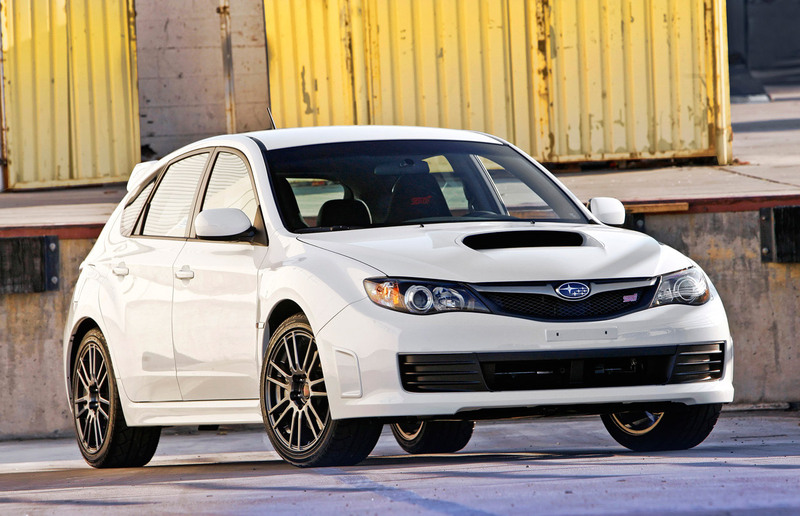 The new model is priced $2,000 lower than the base price of the 2010 WRX STI and will be limited in production. The vehicle features an upgraded performance suspension from the Japanese domestic market WRX STI spec C and spec C wheels. 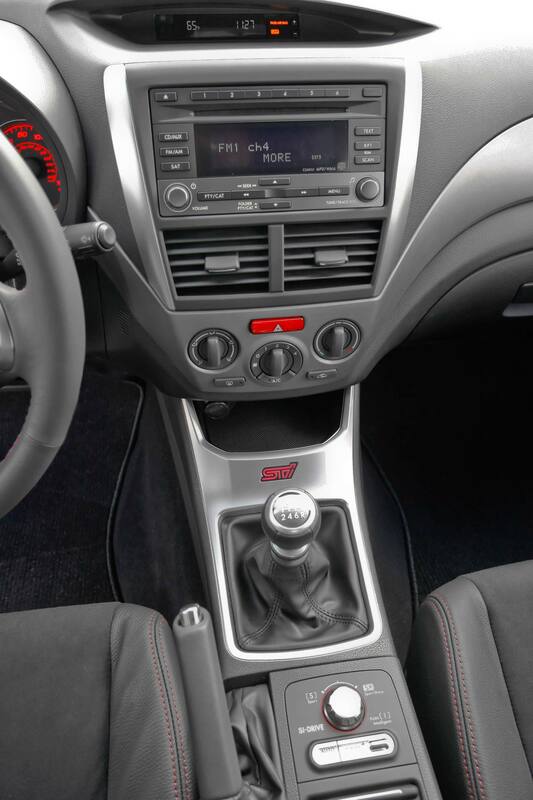 The 2010 WRX STI Special Edition is aimed at the driving enthusiast who is willing to trade a few amenities to gain an extra measure of handling performance over the already extraordinary WRX STI. Suspension for the new version of this high-performance machine is adopted from the Japanese domestic market WRX STI spec C model, which adds a 1-millimeter thicker rear stabilizer bar, stiffer rear sub-frame bushings plus upgraded springs. The front springs are 16-percent stiffer, while the rear springs have been stiffened by 29-percent. 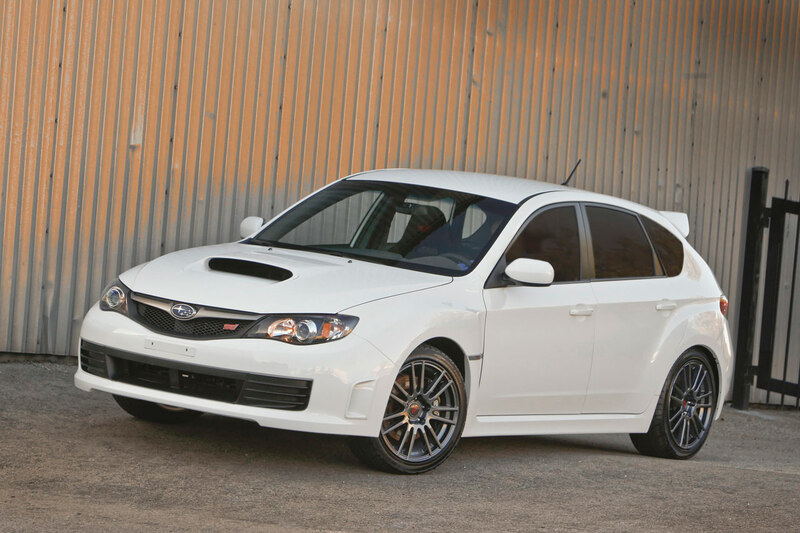 Available in early spring, only 125 units of the 2010 WRX STI Special Edition will be painted in exclusive Aspen White. 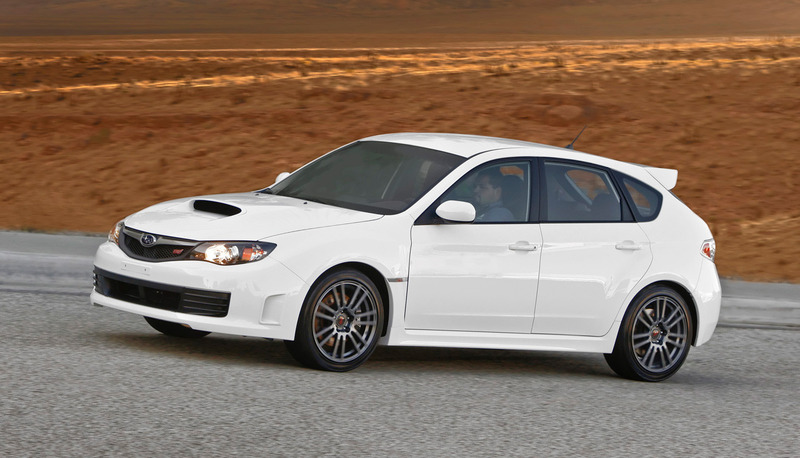 The WRX STI Special Edition will also be available in Obsidian Black Pearl, WR Blue Mica and Dark Gray Metallic colors. All models will be set off by the charcoal-colored 18 x 8.5 in. 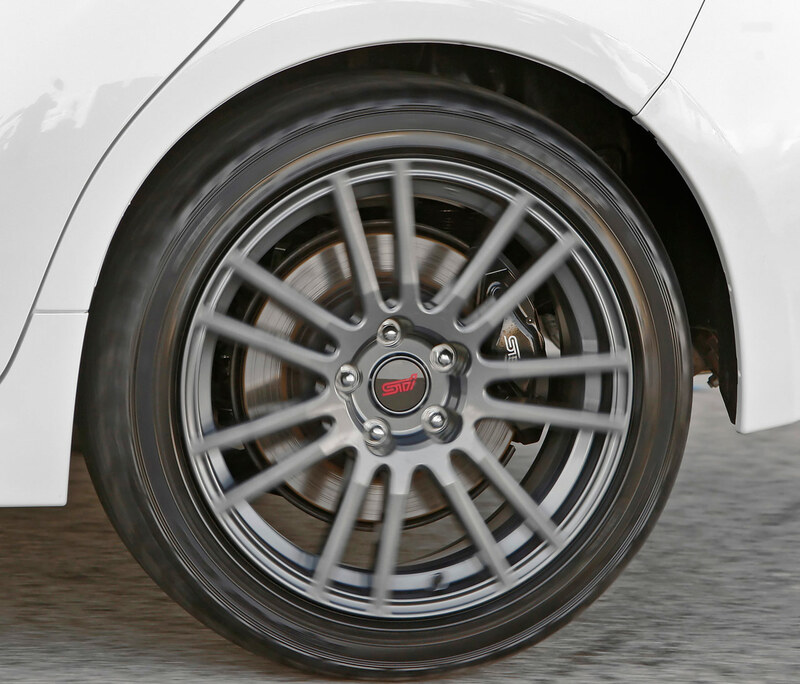 14-spoke alloy wheels from the JDM WRX STI spec C.
The WRX STI Special Edition was developed by Subaru Tecnica International, the high-performance and motorsports subsidiary of Fuji Heavy Industries Ltd. Compared with the standard 2010 WRX STI, the WRX STI Special Edition features halogen rather than HID headlights; a single-disc CD player / 4-speaker audio system instead of the 6-CD / 10-speaker system; manual air conditioning in place of automatic climate control, and side mirrors without integrated signals. All other aspects of the WRX STI Special Edition remain as on the standard model, including the 305-horsepower / 290 lb.-ft. 2.5-liter intercooled, turbocharged SUBARU BOXER engine, 6-speed manual transmission and a high level of driver-selectable powertrain- and dynamic handling-control systems. The car's bulged fenders and rear quarter panels, rear gate-mounted spoiler and aerodynamic ground effects give the WRX STI a direct link to Subaru competition cars. The hood scoop, brake-cooling air intakes and engine heat outlets are all functional. 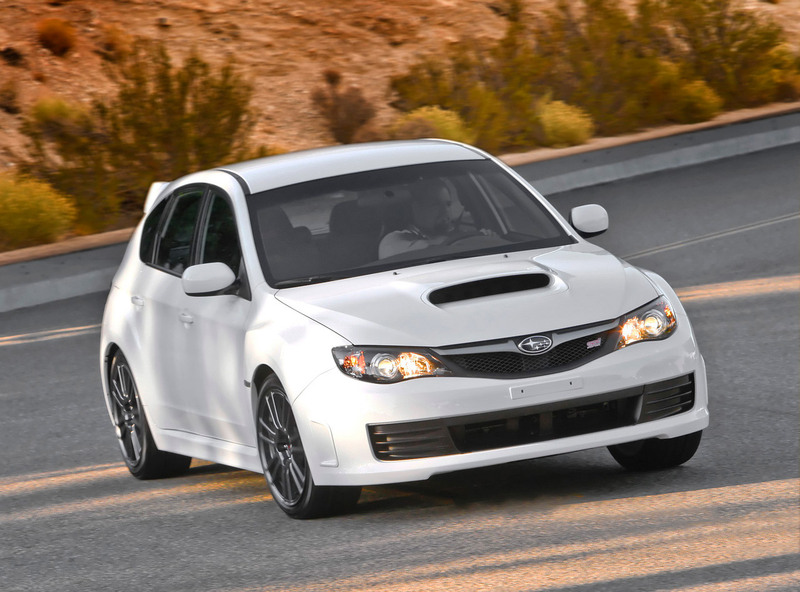 The Driver Controlled Center Differential (DCCD) version of Symmetrical All-Wheel Drive, which remains exclusive to the Impreza WRX STI, offers three selectable automatic performance modes in addition to six manual center differential locking settings. 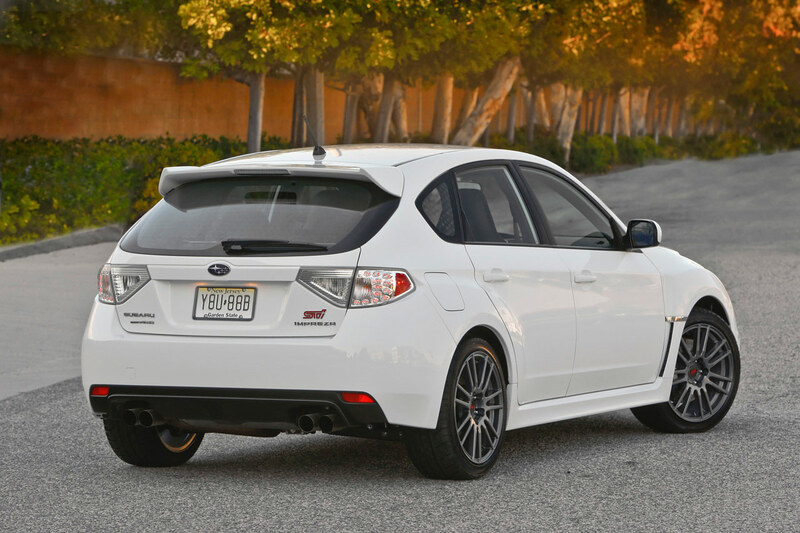 The WRX STI is in addition equipped with limited-slip front and rear differentials. The Vehicle Dynamics Control (VDC) stability and traction control system features three driver-selectable positions. 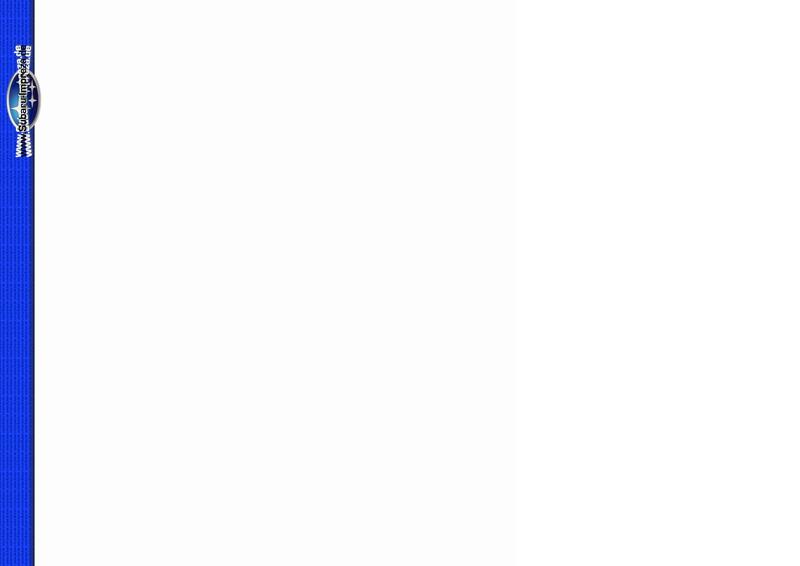 On all WRX STI models, the 18-in. wheels are fitted with Dunlop SP600 245/40R18 Summer performance tires. The Brembo Performance Brake System employs ventilated 4-wheel Super Sport anti-lock (ABS) disc brakes with Electronic Brake-force Distribution (EBD). Side-curtain airbags and front seat side airbags are standard. The Incline Start Assist feature can momentarily prevent the vehicle from rolling backward when being driven away from a stop on an incline.